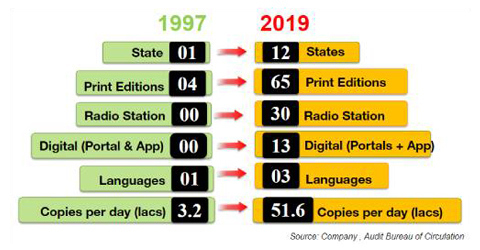 Total 62 print editions and 52 print locations across north and central India is itself a huge number for a newspaper company. For DB Corp, however, this is just the beginning. Dibyajyoti Sarma finds out. Let’s begin with the accolades. 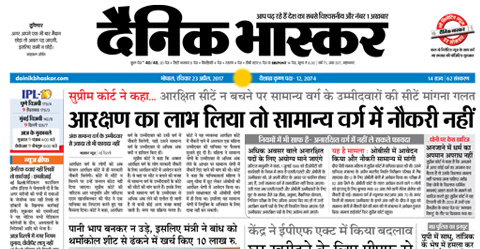 Dainik Bhaskar has maintained its position as the largest circulated national daily of India consistently for the last four times, for the last two years, as per the Audit Bureau of Circulation results of July-December 2015. Not impressed? How about this: Dainik Bhaskar, with a circulation of 3.89 million copies per day, is the world’s fourth largest circulated news daily, and the only Indian title among the world’s top five circulated newspapers, according to the World Press Trends Report 2015 published by Wan-Ifra. The other top three newspapers are The Yomiuri Shimbun (Japan), The Asahi Shimbun (Japan) and USA Today (USA). 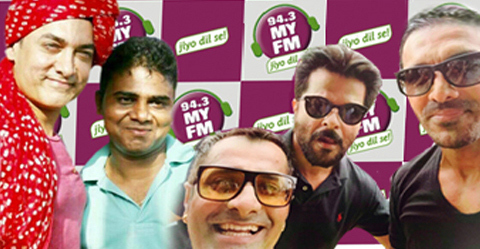 "These figures were calculated before the launch of our Bihar edition. If you include the Bihar numbers, we are clearly number three," says Prasoon Pandey, head, investor and media Relations, DB Corp. But Dainik Bhaskar is just one part of the story. 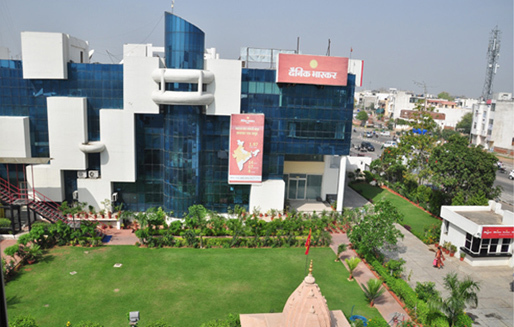 DB Corp is India’s largest newspaper group with 62 print editions with 52 print locations, published in four languages available across 14 states. 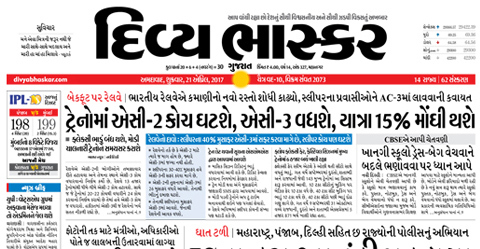 Besides Dainik Bhaskar, the group has Gujarati daily Divya Bhaskar, Marathi daily Dainik Divya Marathi, Saurashtra Samachar, DB Star, DB Post and DNA. It also publishes three magazines. And yes, if you take into consideration all the DB newspapers together, the group is clearly numero uno. Japan’s The Yomiuri Shimbun has 5.1 million copies per day whereas DB Corp has 5.3 million. Impressive indeed, and this is just the beginning. "We are looking at a bright future," says RD Bhatnagar, chief technical officer, DB Corp. "India continues to have the growth story, and there are still virgin markets to tap." "The numbers continue to grow," adds Pandey. "We have crossed all barriers, geographical and linguistic." 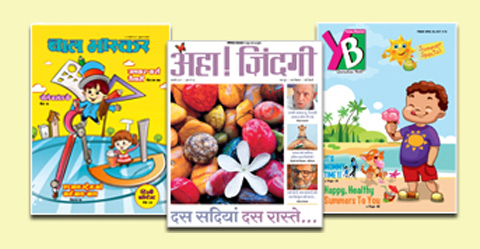 The company started its Gujarat edition in 2003, and again tested the language barrier after a gap of eight years while launching Marathi editions in Maharashtra in 2011. "Now, our topline is growing at double digit with advertising revenue registering a CAGR growth of more than 15% for the last 10 years, and we are consolidating our position." From these 52 print locations, besides the 62 print editions, the group prints 208 district editions. Besides, it has 353 editorial bureaus. 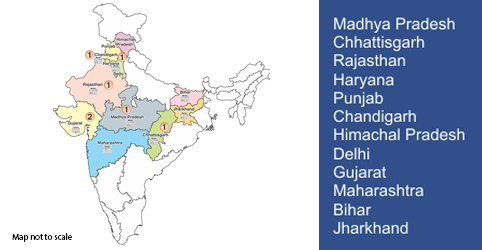 In short, the group covers all of central, north and west India, up to Maharashtra, and the immediate plan is to consolidate this position, which is already happening, except perhaps in some pockets in some states. 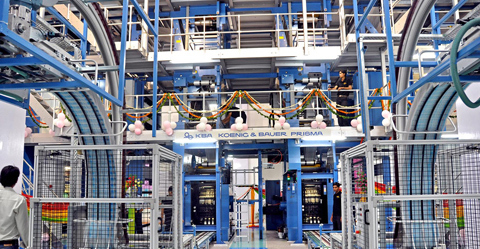 You can imagine the machinery requirements in 52 print centres. It has machines from companies, ranging from KBA to TPH, Manugraph to KK Printing Machinery and Ronald. 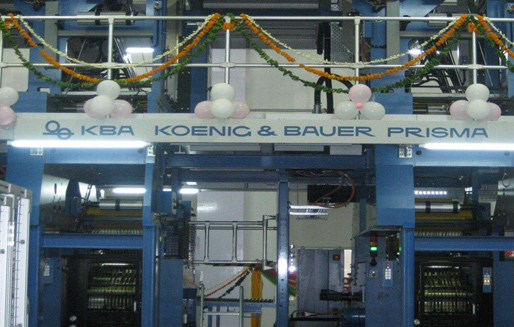 Recently, it installed an eight-tower 533 mm cut-off M360 press from Manugraph in Jaipur and a 533 mm cut-off seven-tower press in Bhopal from Ronald web offset. And slowly, the company is moving away from B/W to colour, because customers want it, because advertisers want it. As of now, more than 30 of its significant editions are all colour. Most of these presses are 2x1 single width, single circumference. In between, there was a trend for 4x1, but it was short-lived. Bhatnagar says as the market has become fragmented, with print runs ranging from 50,000 to one lakh copies, most publishers today are opting for 2x1 presses. “4x1 doesn’t make sense unless you have print run beyond three lakh,” Bhatnagar says. This consolidation of machinery and the eye for quality has paid dividend. 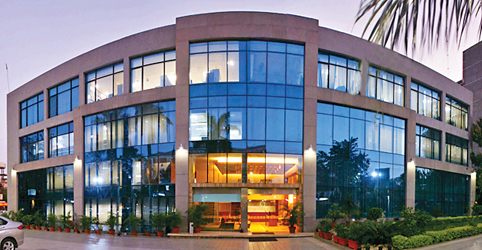 According to Pandey, in the last five years, the company’s circulation revenue has increased more than 15% CAGR. 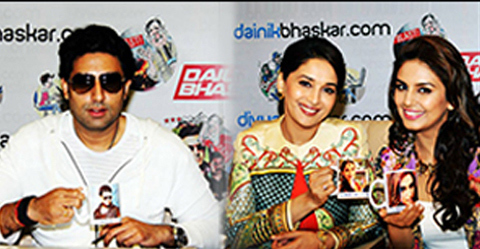 “With the upgradations, we have been able to offer best of qualities to our readers,” says Pandey. This has also increased efficiency. “We have reduced the time from page release to page printing from 45 minutes to just nine minutes,” Bhatnagar adds. 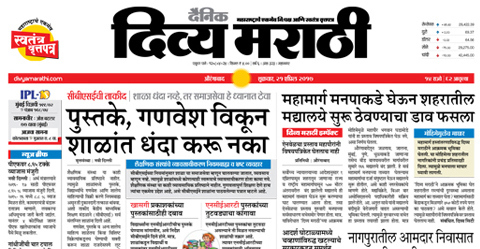 Talking about cut-off, an issue that continues to plague Indian newspaper printing, Bhatnagar says the group has established 533 mm cut-off as the norm. However, only 17 of its presses have 533 mm cut-off. Now, every new press comes with this cut-off, and according to Bhatnagar, maintaining this is a challenge. This is because while cut-off changes, the print area remains the same. Then the company shifted to using chemistry free VioGreen plates from TechNova. The best part of the plates, Bhatnagar says, is that it eliminates the use of water and developer for processing the plate. So there is no chance of water contamination and water waste. The company also made changes in its old dampening system, which would leave ink residues, and has installed closed loop dampening systems. This reduces the contamination of water and the water can be used for at least for a week. Even the fountain solution has been highly optimised. Talking about plate systems, the company had a long journey from CTCP to thermal to violet. Today, the company has mostly Krause CTP systems, though it also uses kit from Dotline and Screen. The company uses total 3.5 lakh sq/m plates per annum. Now, the company has settled for violet CTP for good. Bhatnagar agrees that the quality of thermal plates is better, but considering the shelf life of a newspaper, such quality is not needed. 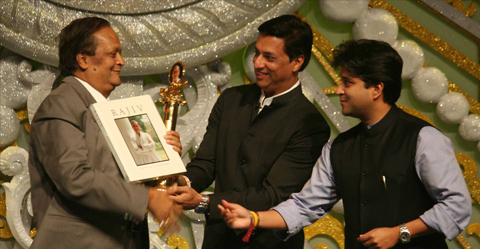 The quality of Indian newsprint is an issue, but Bhatnagar says the group has been using India-made newsprint successfully. “We studied the quality of the newsprints and worked closely with the paper mills,” says Bhatnagar. So much so that today the company receives newsprints from paper mills like Rama, Murali, Shah and Nepa more or less custom-made to company needs. In case you were wondering, DB Corp is the largest consumer of newsprint in India and uses about 47,000 tonnes of newsprint per quarter.